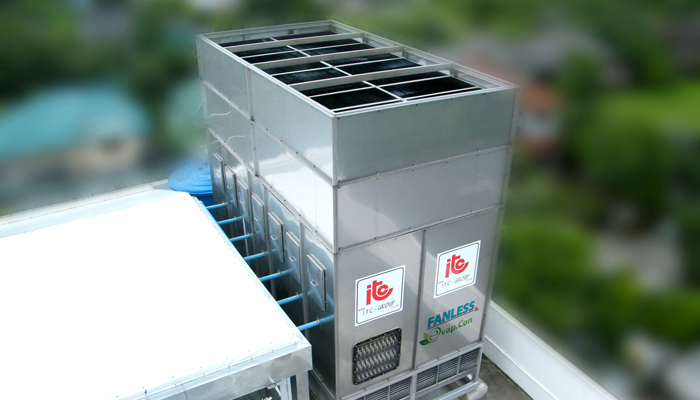 The latest innovation by ITC, Fanless Evaporative Condenser, utilizes a natural cycle of wind flow (similar to sea-land breeze) as the mean of heat rejection. The only one electrical consume equipment is water pump, no fan then less wiring, switch gear, servicing, spare parts and operating sound noise. The slightly inclined water sump embedded with slope is designed to make it easy to clean, less scale accumulation and less reserved water in sump. 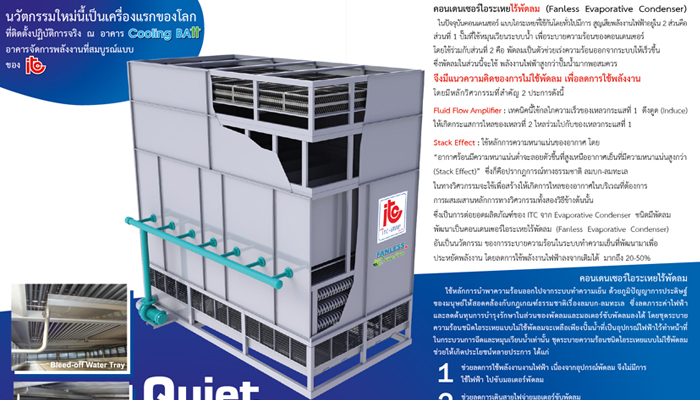 We also design bleed off water tray to optimize bleed off rate in each model then proper water quality always keep. Besides these outstanding features, it is also resistant to corrosion. 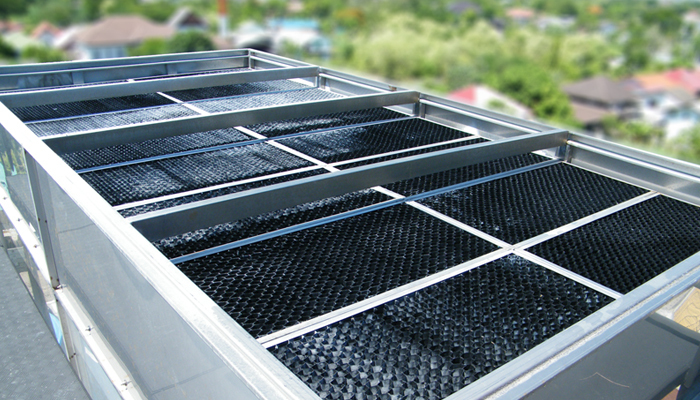 Constructing from stainless steel, it does not need any protection from rot. temperature 40 ºC, 28.3 ºC WB and ammonia refrigerant. 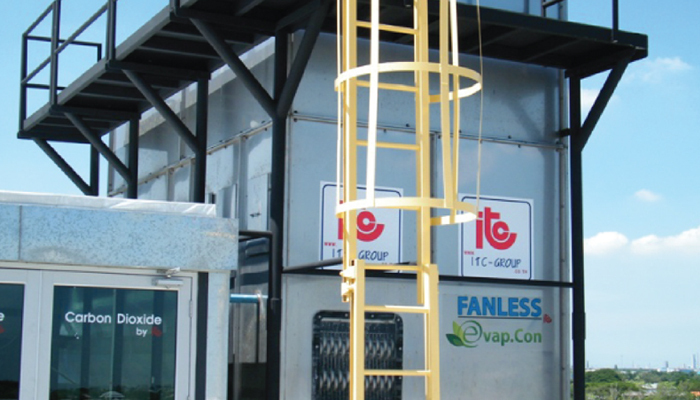 Capacity rating for other refrigerants and operating condition are vailable.